Ups and downs. 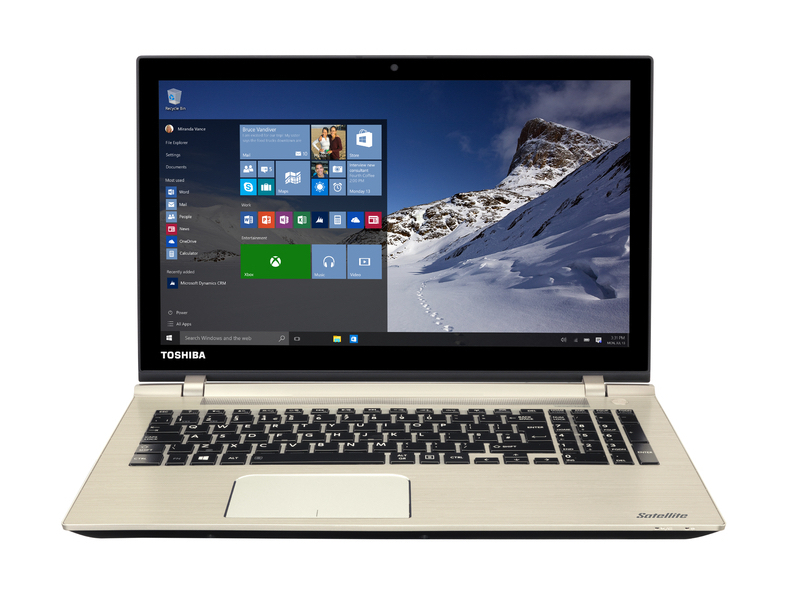 Toshiba's Satellite P50 might convince with its good screen and decent system performance. However, inconsistencies are noticed in the build and particularly in temperature development. Nevertheless, the stylish all-rounder is a worthy player in the multimedia category. The Toshiba P50-C can easily challenge most of the notebooks at this price range with its robust construction and sleek aluminum design. It’s also light and thin so travelers – note that. We also liked the keyboard and touchpad, but we are baffled by the lack of LED keyboard backlight. You will actually be pretty surprised by how few notebooks don’t have LED backlight at the upper-mid-range and we are disappointed by the Satellite P50 not having one. Also, the port placement and the main exhaust vent are a sign of impractical design due to the extra heat generated by the GTX 950M that blows into the user’s arm during heavy load. The port placement will obstruct normal usage with an external mouse if you connect more devices into the USB port and an external monitor via the HDMI. Model: The Toshiba Satellite P50-C-10G is a multimedia laptop with an aluminum finish and satin gold color scheme. This laptop is powered by a fifth generation Core i7 processor by Intel clocked at 2.4 GHz. A single modules of 8 GB DDR3 RAM is incorporated and the RAM capacity can be expanded to 16 GB if needed. A 1 TB hybrid drive with 8 GB of SSD cache ensures that Windows 8.1 runs efficiently. The 15.6 inch display features a resolution of 1920 x 1080 pixels. A dedicated NVIDIA GeForce 930M with 2 GB of VRAM will entice gamers to have a second look on this laptop. There are three USB 3.0 ports and a HDMI output port which supports the Ultra HD 4K format. The multi-touch gesture clickpad ensures easy navigation, while the keyboard is a regular chiclet type. The total weight of this laptop is 2.2 kg and the maximum thickness is 22.5 mm with the lid closed. The built-in Harman Kardon speakers give audiophiles and gamers alike a reason to pick this laptop over the competitors. According to Toshiba, this Satellite P50 can run up to 7.5 hours solely on battery. However, real world usage might be different. Overall, this Toshiba Satellite is a head turner with its sleek gold finish and the dedicated graphics card. 5500U: Broadwell-based ULV (ultra low voltage) dual-core processor for notebooks and ultrabooks. Offers an integrated HD Graphics 5500 GPU and is manufactured in 14 nm.» Further information can be found in our Comparison of Mobile Processsors.